How many times have you heard “You can’t eat gold” as a reason NOT to own gold? It is nonsense. 1) You can’t eat gold either during good times or after an economic collapse, but neither can you eat dollar bills, euros, bolivars or hundreds of other devaluing paper currencies. 2) In good times and in bad times, gold is necessary for wealth protection. A gold market will always exist, and you can exchange your gold (or silver) for the items you need. 3) Try exchanging Confederate money, Yugoslavian dinars, Hungarian pengos, Weimar Reichsmarks or hundreds of other failed currencies for food in 2019. You might starve. a) Can you buy what you need with that currency? Dollars… probably. Gold and silver, yes, either as barter or after an exchange. b) Will the currency retain value? Gold… certainly. Paper dollars… NO. c) Is the currency recognized, accepted and appreciated? Dollars are accepted in some countries. 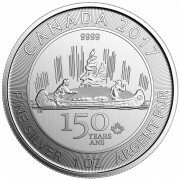 Gold and silver are accepted globally. Gold is eternal, beautiful, special and valuable. Paper currencies are not. Have you heard someone proclaim? The streets of heaven are paved with Federal Reserve Notes. There is no fever like euro fever. That software is the “yen standard” in the industry. Bankers formerly loaned paper and demanded gold in return. They know what is valuable. Print currency units, “donate” to congresspersons and government leaders, purchase favorable legislation and increase controls. Encourage sovereign, corporate and private debt, collect the interest, expand influence, and demand the masses work longer and harder to pay debts. Print paper currencies and buy real goods with those “created from thin air” currencies. The Swiss Central Bank bought $billions of American stocks. Other central banks purchased gold with newly created paper currency units. Central banks demand secrecy and “independence” for obvious and nefarious reasons. Yes, wages for most people flatlined, even when adjusted by low-ball inflation statistics since the 1970s. However, income and wealth for the political and financial elite grew rapidly. Central banks over-print and devalue fiat debt-based currency units. Prices rise faster than wages. The rich get richer. 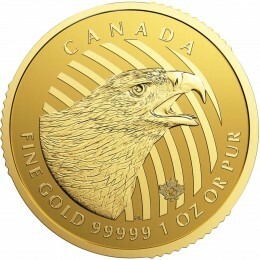 a) A gold coin in your hand inspires a sense of beauty, value and wealth. b) A piece of paper, issued by a corrupt central bank, mandated by an insolvent government, and called a dollar, yen, euro or pound does not inspire a sense of beauty, value or wealth. We spend currency units knowing they decline in value every day. We can buy overpriced stocks or underpriced silver, but don’t stuff paper dollars into a safe because they have a limited life expectancy and are a wasting asset. c) Debts, even those from central banks and sovereign governments, have counter-party risk. If the Turkish economy collapses, what are the paper currency units worth? If XYZ Corporation files for bankruptcy, what are its bonds worth? 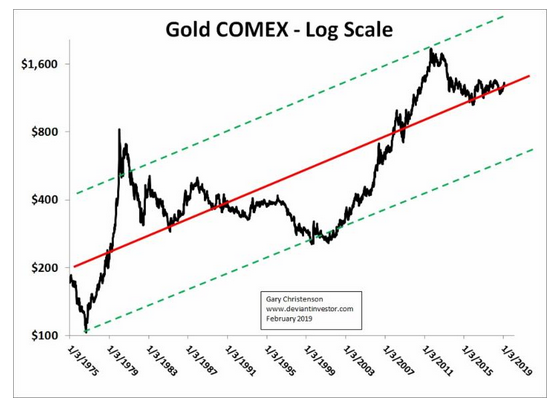 If COMEX can’t deliver the gold it has promised, what are its paper gold contracts worth? d) Paper assets, such as currencies, stocks and bonds, include currency risk. If you deposit one million euros in a Spanish bank (a liability of the bank), what is the value of your deposit if the bank fails? What happens if the euro declines in purchasing power to a small fraction of its 2019 value? You may receive 100% of your euros but enjoy only a small percentage of the value you entrusted with the bank. e) Would you prefer to be a millionaire when measured in Venezuelan Bolivars, Zimbabwe dollars, Turkish lira, or Polish zloty? The world has chosen to use debt-based currencies instead of gold and silver. There are consequences. Debt has counterparty risk and currency risk. Gold does not. Debt fails when the “full faith and credit” narrative is no longer believable. Creditors of sovereign nations should realize they will be repaid ONLY if the debtor nation borrows even more. This is a flawed system. History shows that “out of control” spending, excessive debt, and government corruption create consumer price inflation, currency devaluation, and wealth inequality. At the extreme, the value of your savings and retirement denominated in fiat currency units, diminishes or vanishes. Question: If perpetual borrowing is so bad, why is it still working? Answer:The world is $250 trillion in debt—from too much borrowing. If you jump off the Empire State Building, it might seem like an enjoyable journey as you pass the 40thfloor on the way down. Just because you and your currency have not YET crashed into the concrete does not mean either of you will survive. Question: If debt-based fiat currencies are so bad, why do we use them? Answer: We use them because they are convenient and dishonest.Why? Dishonest currency units enable bankers and politicians to manipulate and counterfeit them for their benefit. This is less true with gold backed currency units. 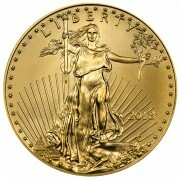 Question:Will nations return to fiscal and monetary sanity and a modified gold standard soon? Answer:Sadly, no. Sanity will return only when other options fail. Look forward to more QE, zero interest rates, wealth taxes, negative interest rates, confiscations, higher taxes, and more nonsense. Question:Must all fraudulent Ponzi systems (including sovereign debt and currencies) crash or reset? Question:When will the crash or reset occur? “Rather than satisfy themselves with what they [government] can squeeze out of the turnips in honest taxation, the feds borrow from the future. And then, they bend the financial system – by suppressing interest rates, for example … to make it easier to finance their deficits. Bankers encouraged politicians to choose debt-based fiat paper for currency units. Gold and silver were demonetized and removed from circulation. Prices rose, currency units devalued, wages stagnated and wealth inequality increased. 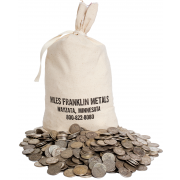 Miles Franklin(1-800-822-8080) will convert devaluing currency units into real gold and silver. Consider alternatives to fiat currency units and their counter-party risk. Gold and silver shine by comparison.